# 800 leather skiver/leather splitter is the first product of CowBoy series leather craft tools. This Leather splitter is ideal for hobby or light manufacture. Used to thin (skiving) leathers down to a uniformed thickness. Fully adjustable to split most thicknesses of leather. Note – these are made mainly for vegetable tanned leather. 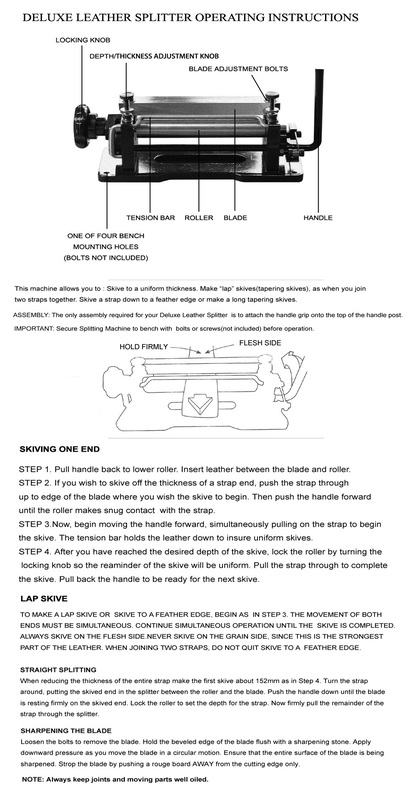 Below is the instruction of 800 leather tool. 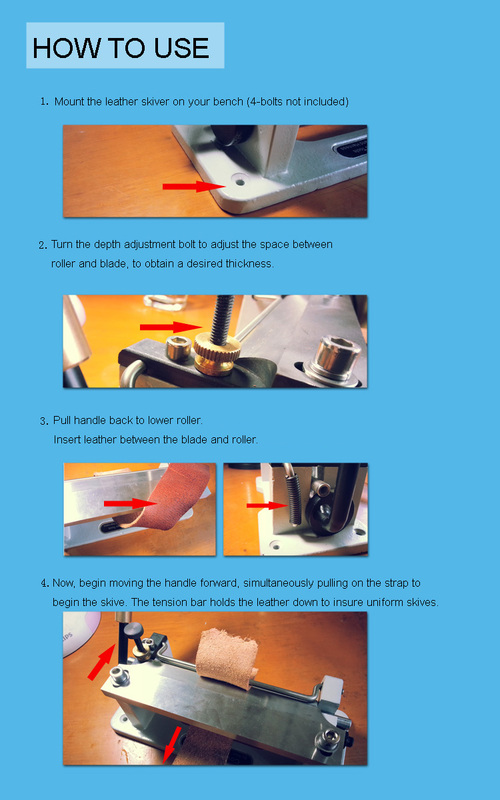 CowBoy 806 leather cranked leather splitting machine is a luxury leathercraft tool for handmade leather workshop. This second generation leather splitter is much easier to use.